Succesful cooperation with filmmakers has led to the creation of a new, innovative slider that meets the needs perfectly. 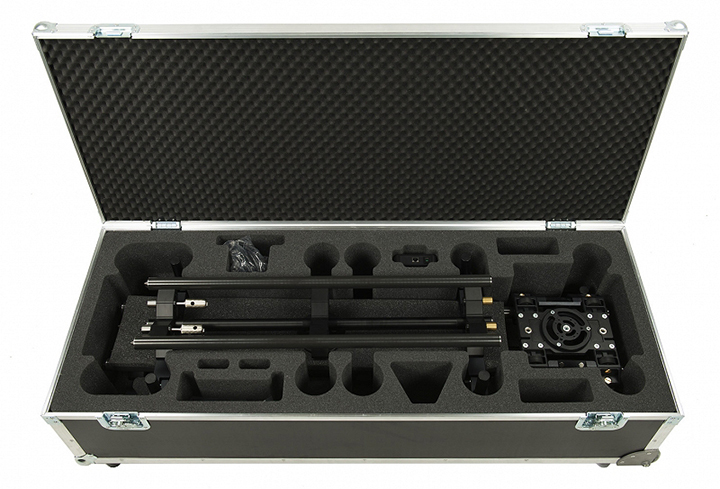 The slider carries heavy film cameras such as CANON C500, SONY F55 or ARRI ALEXA. Lightweight construction, modularity of the system and easy one person assembling/ disassembling were the main goals during the designing process. 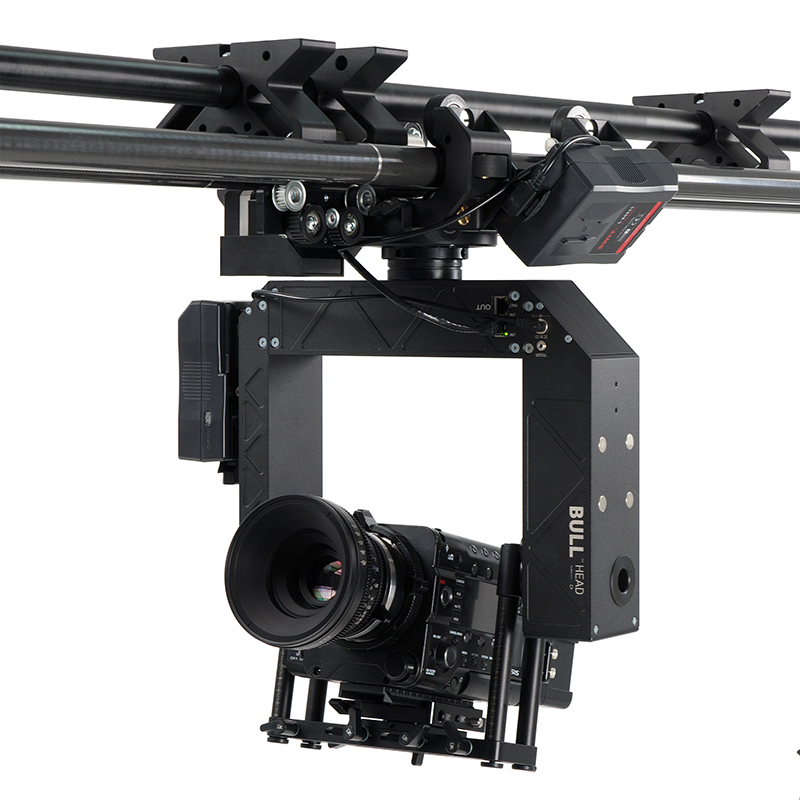 ATLAS MODULAR SLIDER allows easy connection of rail sections to create 2m, 4m, 8m or even longer tracks that meet the filmmaker’s needs. Also available are 2m and 3m sections. Maximum recommended length is 12 meters. The construction of the set allows assembling and disassembling without the use of any tools. 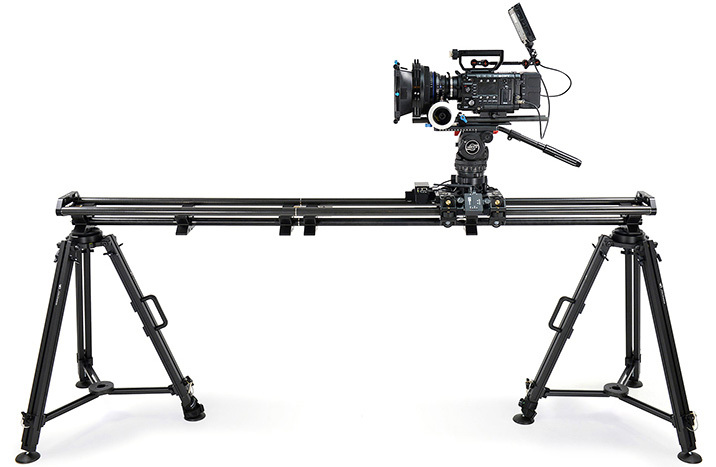 Even with significant weight of the set (camera with all accessories), the slider won't yield under it. Each section is equipped with four adjustable feet, that easily and quickly fix to any surface. You can precisely and in no time level the set standing on the ground. ATLAS MODULAR slider is extremely versatile. When working in small spaces, or when you simply need a short track for your camera, you can use only one standard 0,8m or 1,2m rail section mounted on only one tripod. Depending on the weight of your set, you can use additional DUAL SUPPORT . In the upside-down position, we offer a mounting system for the classic aluminum truss on stage or in the studio. 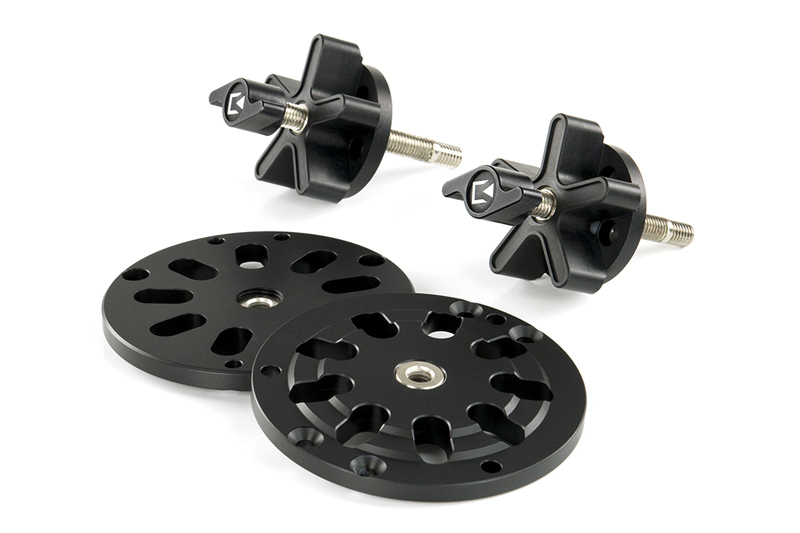 The basic set (0.8 and 1.2m modules) contains 6x dedicated spigot and 6x Super Clamp - Manfrotto. We have designed a vertical ATLAS MODULAR SLIDER with counterweight 450 cm high, speed 2 m/sec, adapted to the PTZ head. VARTICAL ATLAS MODULAR SLIDER IN ACTION! Three tubular construction (truss) guarantees rigidity and strength of the set in all directions. 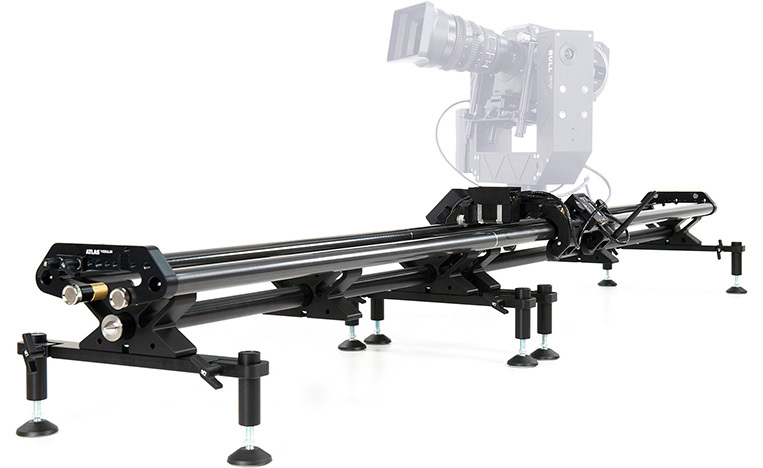 This allows to configure a standard 2m long slider comprising of two sections: 0,8m and 1,2m. Even a long slider can be successfully mounted upside down to an aluminium construction or a ceiling. Threads for 3/8” screws are placed on both sides of a slider. BULL HEAD versatility allows to mount it any way you like - vertically, horizontally, or upside down. You can mount your camera close to the floor or to the ceiling. 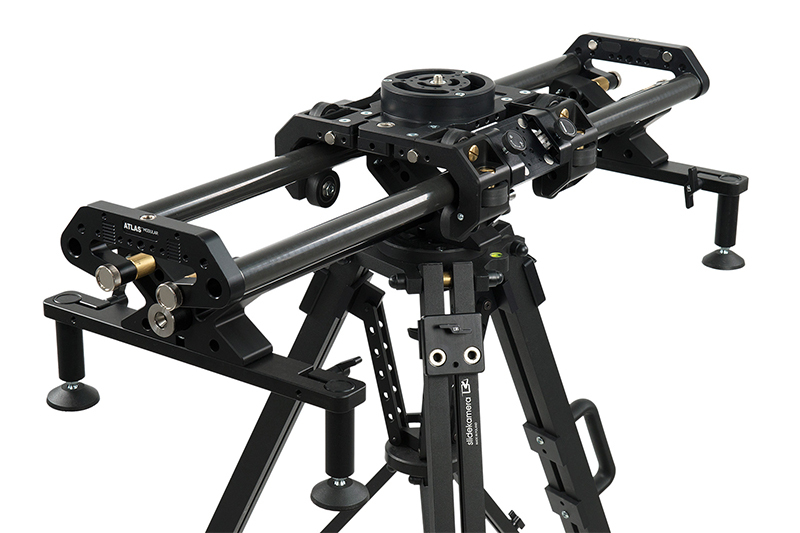 BULL HEAD with ATLAS MODULAR SLIDER creates a perfect motion control system for your studio or stage. The slider sides come with magnetic bumpers, that act as a brake when the cart approaches the end of the slider. This allows the cameraman to focus solely on capturing the best image, instead of worrying about how much working range is still remaining on the slider. The magnetic bumpers gently slow down the cart, prompting the camera operator that he is approaching the motion range end. Slider dolly is equipped with 12 wheels, made of a specialy chosen rubber. The positioning of the wheels allows the cart to freely move, no matter the slider position - horizontal, vertical, diagonal or even upside down. The cart is equipped with many accessories that make the job easier. It has a permanent friction brake as well as an adjustable damping brake. It also has a 75/100mm alluminium half bowl sockets, distance pins to controll the elevation of the head, mouting plate 3/8”, magnetic grips for mounting optional accessories, magnetic bumpers, 3/8” and M10 mounts for various sockets. The ATLAS MODULAR DRIVE is equipped with both IN and OUT control connectors, allowing the creation of a 3 axis Motion Control system, by using BULL HEAD - our heavy duty remote head. Silent movement and high precision of control (repeatability of programmed motion) are its main assets. It can be controlled remotely with the SLIDELINK Wi-Fi Adapter or with model builders’ RC controllers. The ATLAS MODULAR DRIVE is designed to work horizontally with maximum speed 0,4m/sec. ATLAS MODULAR DRIVE can be controlled by a physical controller or a mobile app, available for Android tablets. For correct operation of the App you need SLIDELINK PRO ™ Wi-Fi & RF module. Controlling Slidekamera devices has never been more comfortable. 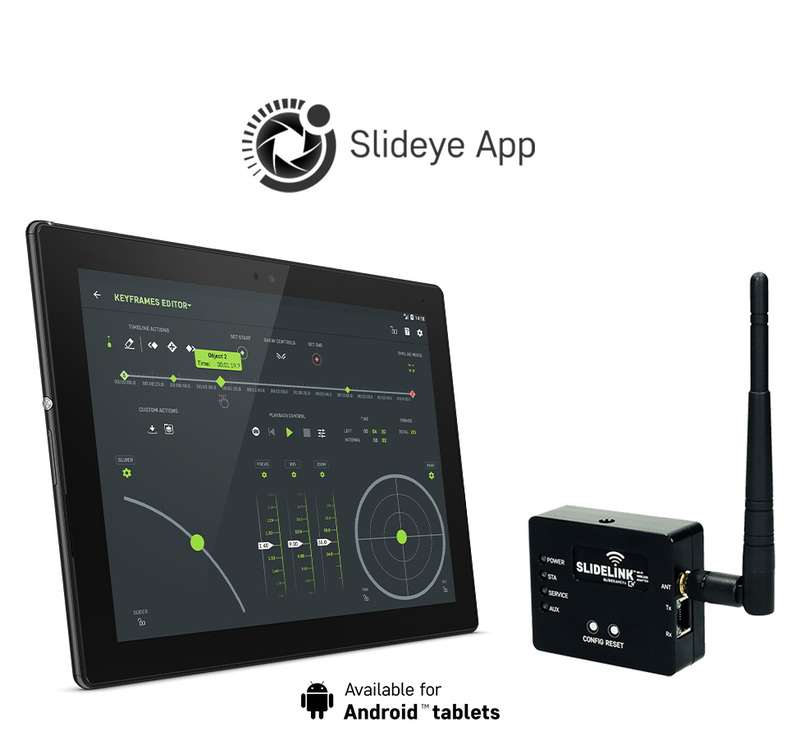 The Slideye™ PRO App will help you manage our devices with easiness and precision. 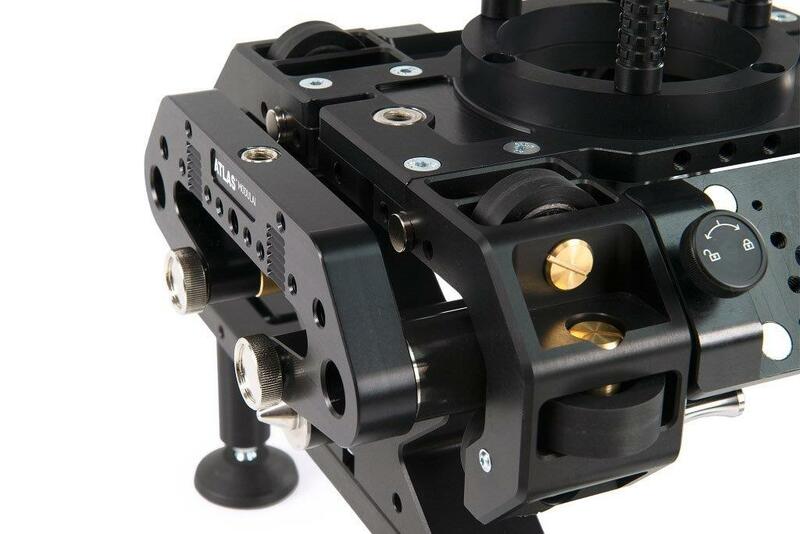 For a proper mounting of the slider onto the tripods, there are specially designed selfadjusting adapters for 75mm and 100mm head bowl sockets. They are clamped with a universal 3/8” screw. For each section there is one adapter 75/100mm and one universal 3/8” screw. Applictation: Perfect for smooth shots during camera movement. Suitable for heavy cameras. eight M6 mounting holes located on the inner side of wheel brackets. brackets with magnetic bampers 2 pcs.